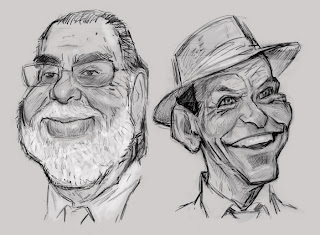 ...roughed out a few more Italian Americans (Coppola & Sinatra) and then did a finished drawing of Frank based on the sketch. After some great C&C posted by my friends at the DrawingBoard Forum I think I can live with this version. 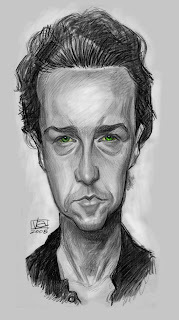 It started out just as a personal challenge sketch (ie: the looseness in the drawing) but with the help of Photoshop I was able to tweak this really hard subject to a reasonable likeness.